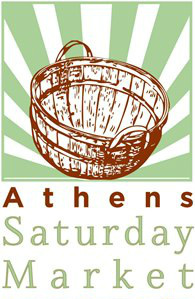 With an outpour of requests for more information from the community, the Athens Saturday Market Committee is excited to release information on the 2018 season. The Athens Saturday Market returns on June 2, 2018 from 8:00 a.m. until noon at the Farmers Market Pavilion located at 409 W. Green Street in Athens. “We have a group of growers, prepared food vendors and artists who are getting ready to provide our customers with locally grown fruits, vegetables, flowers, herbs, honey, eggs, meats, canned jellies and pickles, baked goods and lots more,” said Athens Saturday Market Chair Laurie Glenn. There will be entertainment as well as contests, demonstrations and giveaways each Saturday during the months of June, July and August.